Fungi lovers are sprinkled throughout the world, country to country, state to state, separated by language barriers, cultures and beliefs. Our mission is to break down the imaginary barriers and connect through the world of mushrooms. 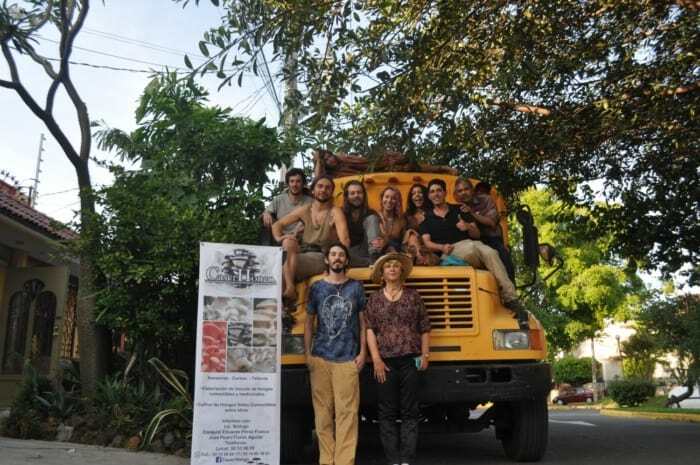 The date is November 22, 2016 and 7 of us are adventuring the heart of Guadalajara, Mexico with the intention of expanding our network and connecting with new friends at Eco Casa Madero, the FungiHouse and CaserHongo. The FungiHouse is alive with work exchange and study opportunities that allow individuals to expand their knowledge of fungi in a space of creation. Art covers the walls, healthy plants are growing and animals running about. There are two rooms dedicated to mushroom cultivation for Shiitake, King Oyster, Reishi and additional mushrooms are fruiting into creation. During our stay we got the chance to pick the brains of Eduardo and Ivan, two of the leaders and teachers of the FungiHouse and CaserHongo. 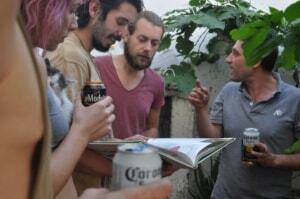 They met at the University of Guadalajara and both graduated with a degree in Biology and Natural Science. Passion captured us all as they taught us their way of connecting with fungi, allowing us to expand our minds and learn new methods of mushrooms cultivation. 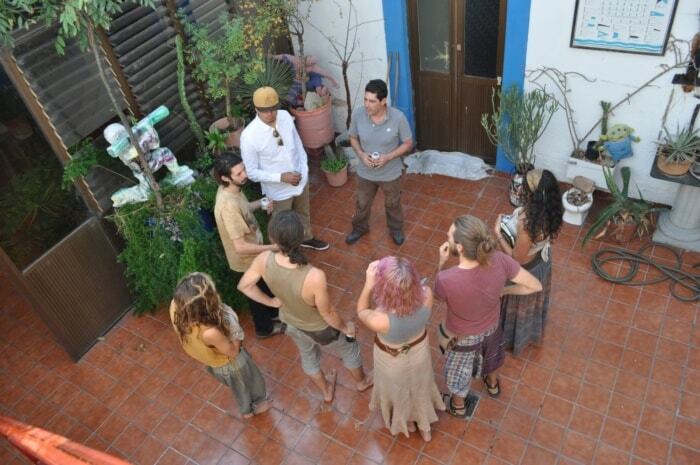 We are grateful for Eduardo and the wisdom of fungi he carries and shares with the world around him. Eduardo taught us cheap, low tech methods of how to work in the laboratory with alcohol lamps instead of HEPA Filter Flow Hoods which can cost hundreds of dollars. 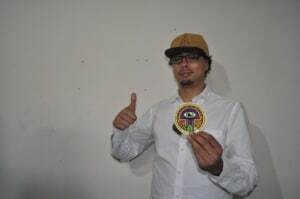 Ivan was born into a fungi family, his father has been nurturing the art of mushroom cultivation for over 30 years and is one of the main organizers of the first Fungi Festival near Guadalajara, Mexico this past year. Guadalajara is paving a platform to bring urban organic growers together and spread awareness about non GMO foods to the people of Mexico by hosting a multitude of organic food fairs (cacao, corn, agave, fungi to name a few). 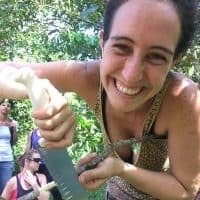 The push to share this medicine with the culture of Mexico inspired this group to take a unique approach to the situation, from this the moment of medicine foods was born! 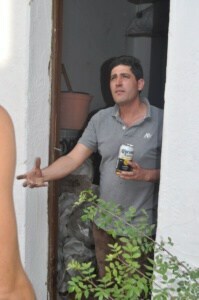 “Our culture is not eating well, it is time to make medicinal foods more accessible to the people” expresses Ivan. 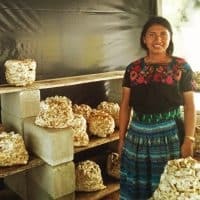 Cookies, hamburgers, ceviche, sweet breads and savory foods packed with medicinal mushrooms are now being sold on the streets of Mexico in an attempt to spread the knowledge and medicine of fungi. Gratitude overflows out of my being for the traveling Fungi Bus experience that is my present external reality. Our travels are allowing us to connect and exchange knowledge others who share the same passion of fungi as we do. We are one of the same, regardless of the country we are born in, the language we speak, the beliefs we hold, separation is an illusion. It is a gift to be apart of an experience where we are banding together and looking past our external differences. 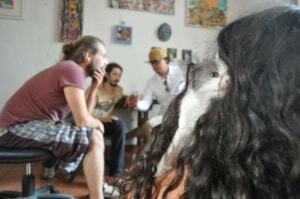 As we continue to be guided in the flow naturally we are connecting like the Mycelium Network throughout Central America.